Each of your personnel with a cost of 1 or less cannot use their skills while facing this dilemma. 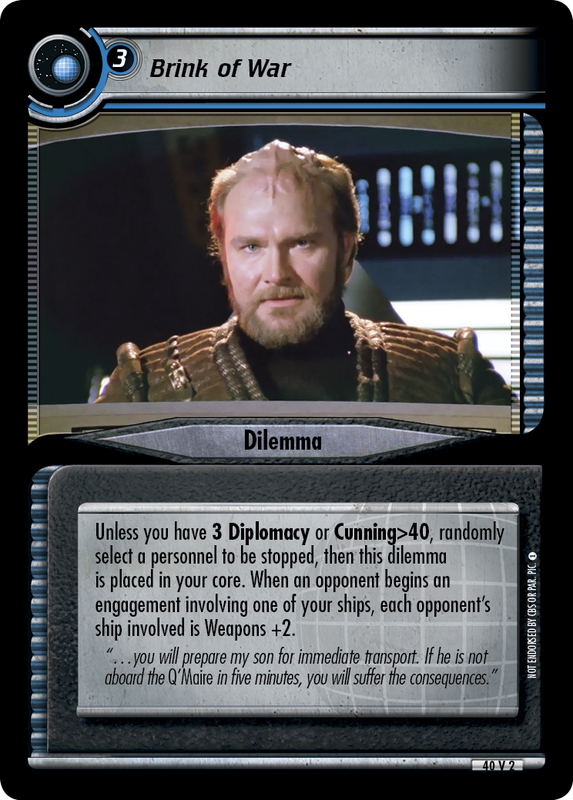 Unless you have Archaeology, Diplomacy, and Honor or Exobiology, Transporters, and Treachery, all your personnel are stopped and this dilemma returns to its owner's dilemma pile. "... Name the Winner, brought to you tonight by your Jupiter 8 dealers from coast to coast!" 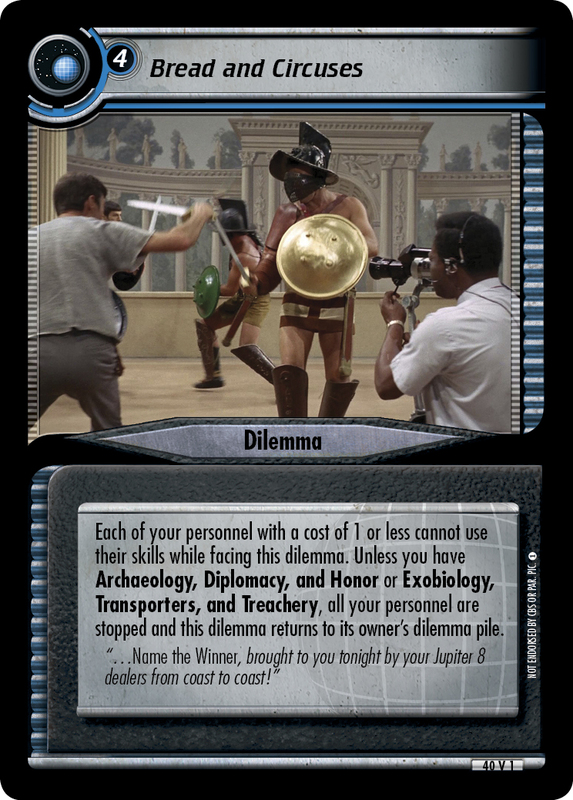 Image Source: The Original Series: "Bread and Circuses"